Site speed is important. Pages that take a long time to load can decrease your conversions and stop potential connection time with a potential customer. Google AMP can help you increase your page loading times, so your customers will be able to get to your content faster than ever before. 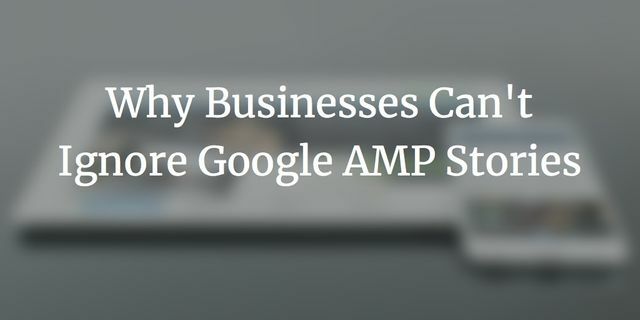 In addition, to increasing your page load speed and therefore keeping more of you ideal clients on your website, Google AMP can also give you visibility in search results. Take a look at your Page Speed by heading to Google's PageSpeed Insights here and identify the changes you need to make on your website. After updating your website to increase your PageSpeed, go to Google AMP to find out how to improve your website for enhanced content delivery. The Accelerated Mobile Pages (AMP) project was launched by Google in February of 2016 with the goal of putting mobile performance above everything else on the web. And Google definitely met their goal. AMP powers more than two billion mobile pages and 900,000 different domains. Pages with AMP now load twice as fast as pages without added AMP elements. If you think you can ignore AMP, you’re wrong. AMP has some pretty awesome features and benefits that can take your content creation efforts to the next level. If you don’t take the time to understand or use AMP stories, you’re missing out. Here’s why businesses can’t afford to ignore them. But first, let’s analyze what AMP stories truly are.